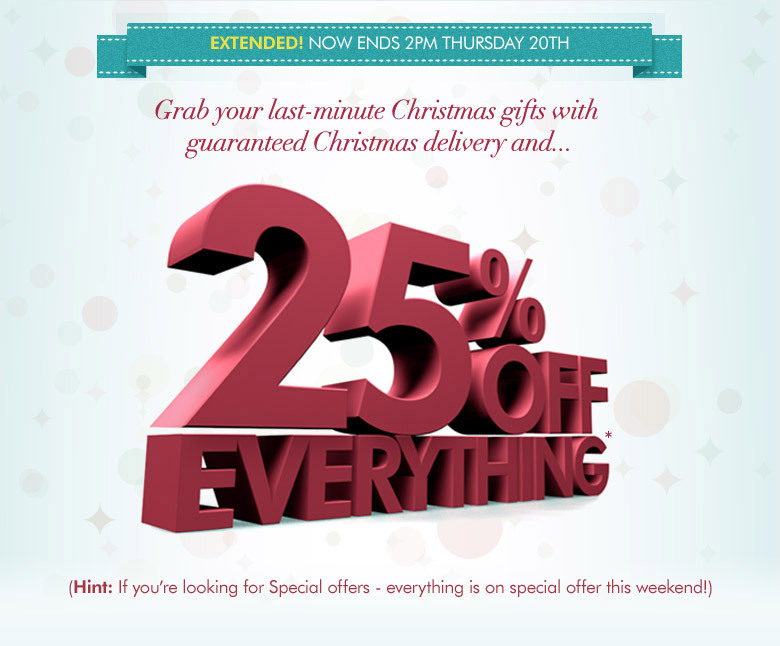 * Offer ends 2pm Thursday 20th December 2012. Offer excludes drop ship items (items not available for immediate despatch), Gift Vouchers and delivery services, but you’ll receive free standard UK delivery on all orders over £50. If you need your order before Christmas, please choose Express delivery before 2pm Thursday.